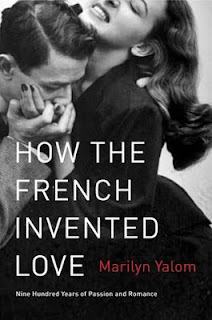 A good subtitle for this one might be "A Literary History of French Love". I think that's important for the reader to know going in. This book starts with the earliest of French literature in the Middle Ages and continues through the next 900 years, chronicling how French literature impacted French beliefs and attitudes towards romantic love. I really appreciated the author's style. She quotes generously from literary sources and, of course, the analysis of the literature and its impact on culture and society in France and throughout the world appealed to my inner English major. However, the work remains accessible, I think, to any reader who is interested enough in literature and cultural development to read a work solely devoted to the subject. This is definitely going to appeal to a specific kind of reader. The writing isn't difficult to read and the author doesn't show off her critical talents by overloading the book with big words and literary phrases that the average reader won't understand. However, it is a book about the history of literature. It's not a page-turner or a medical mystery or a celebrity biography. It focuses on a topic that will appeal to a fairly specific demographic. If you love books and this history of literature and you also appreciate cultural analysis, this is perfect. Which means I enjoyed it thoroughly. Thank you to TLC for giving me a chance to review this one. Click here for list of other tour stops. You are definitely right that this book will most appeal to a specific type of reader, but I think that kind of reader will REALLY enjoy it just like you did. I saw this on goodreads and thought it looked good. Thanks for the review. I think its something I would like, and even better- I think it would make a great Christmas present for a friend of mine.